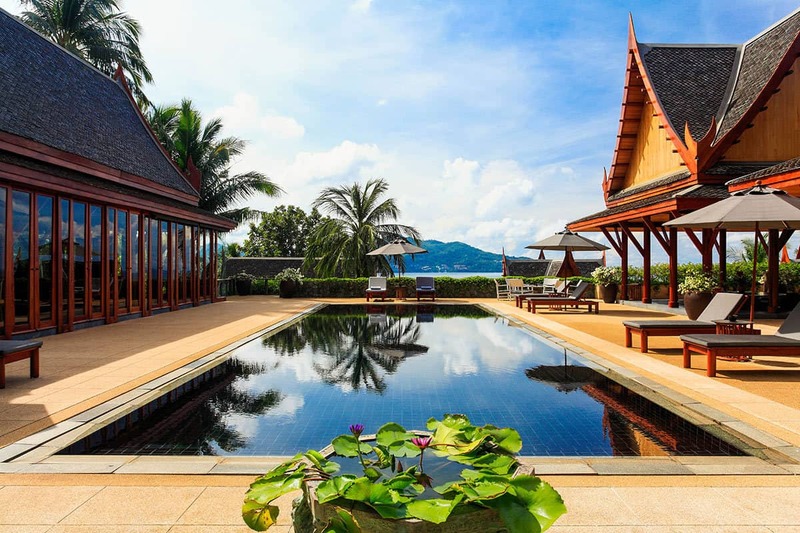 Experience the most personalized service in one of a kind location and stay at two Bedroom Garden Villa at Amanpuri by Aman Resorts. 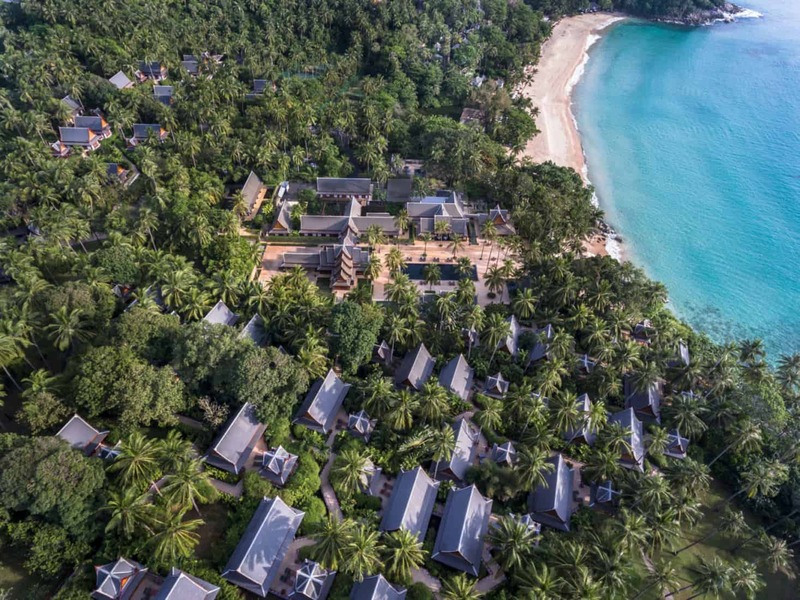 Amanpuri is set across the coconut grove, overlooking a crescent of white sand and turquoise water of the Andaman Sea on Phuket’s west coast. 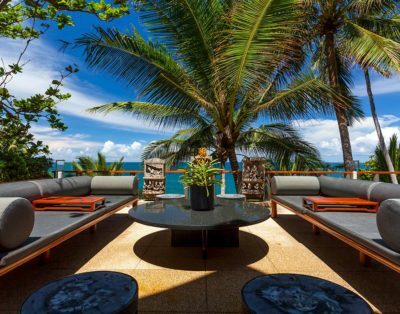 This luxury resort has its own private beach, beyond the secluded beach, a fleet of cruisers in on-hand for island hopping, fishing, and scuba-diving, while a number of Buddhist temples lie within easy reach. 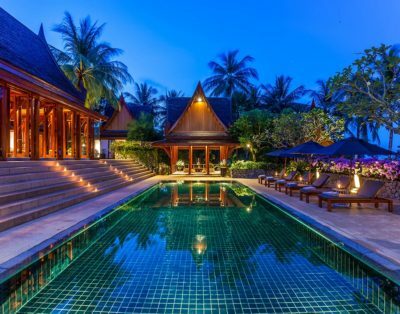 Your reservation at Amanpuri Ocean Villa includes a live-in housekeeper and a Thai Chef. During your stay, you will also have access to the many facilities and activities. 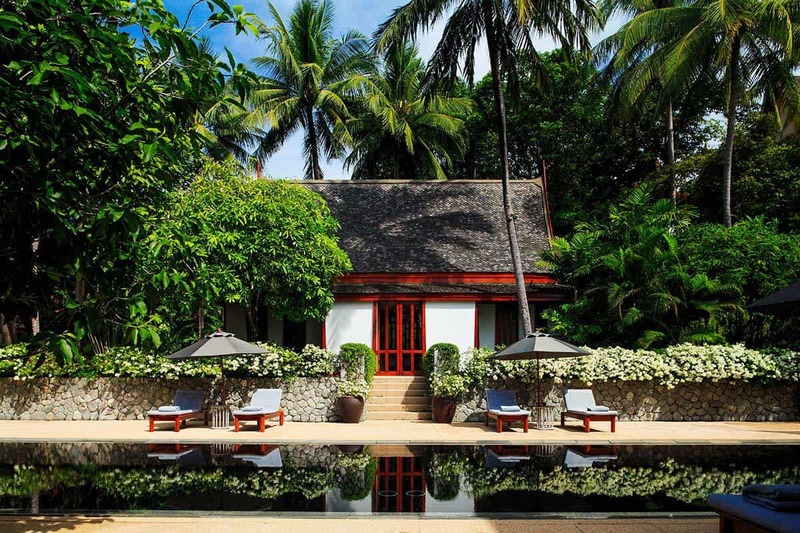 You can relax on the beach or you can arrange a spa treatment at the AMAN SPA. 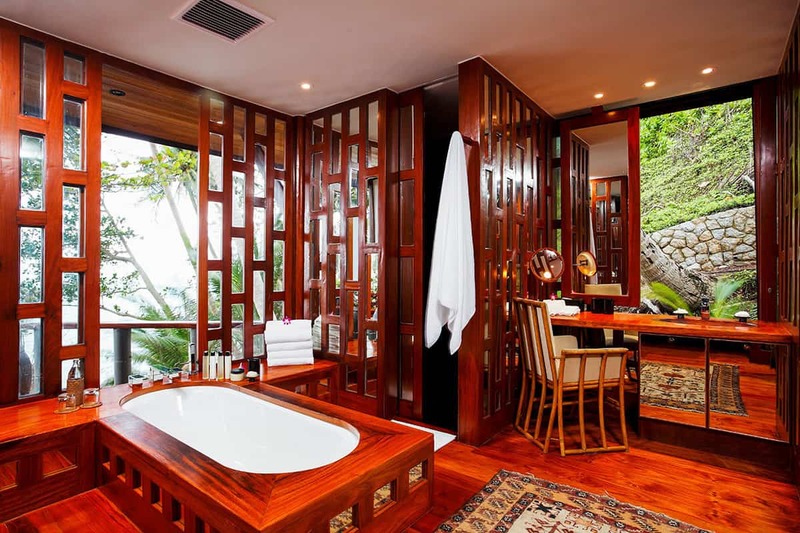 The spa features six spacious treatment rooms, each with its own steam room, shower, bath, dressing area and outdoor meditation sala. The spa facility includes a sauna, a granite, steam room and fountain terrace where health drinks are served. 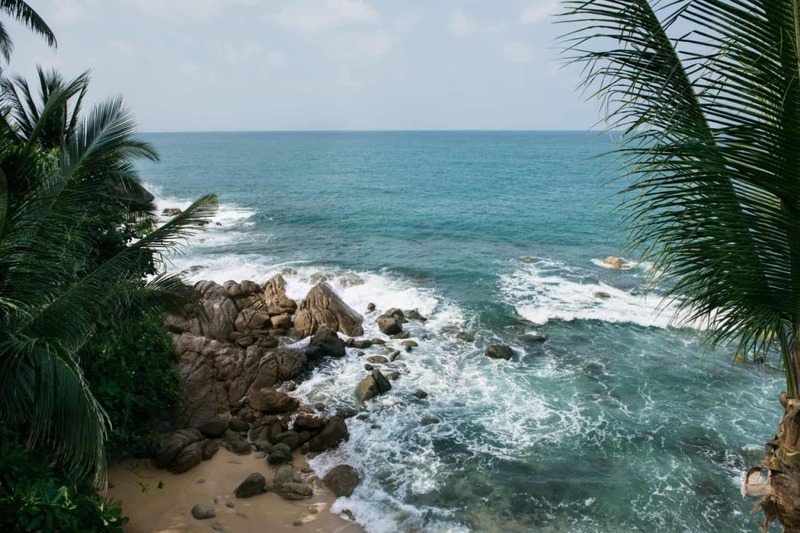 Amanpuri offers Aman Wellness Immersions to the guests who like to seek to increase fitness levels, shift unwanted weight and its emotional root causes, deep cleanse their system or attain renewed awareness. 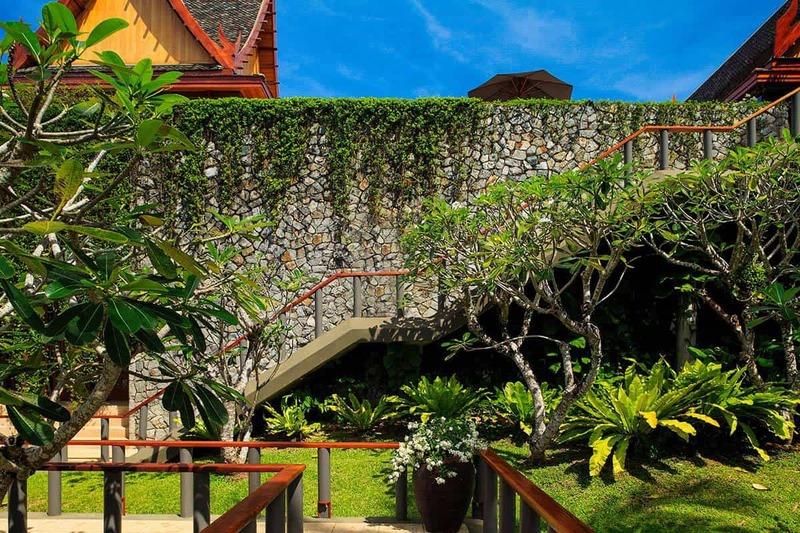 The Gym is perched at Amanpuri’s highest point. It is a glass-walled gym that enjoys sweeping sea views. Personal trainers are on-hand to provide individual assistance (Thai Boxing, HIIT, beach Bootcamp, TRX and other training are available). 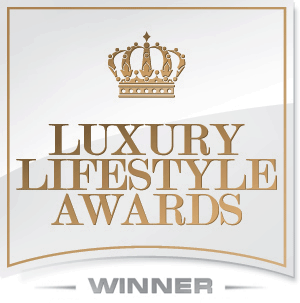 Daily Group complimentary yoga classes are offered open-sided makha wood salas. Four floodlit tennis courts are available for individual, couple and junior lessons (tennis rackets and balls are available). 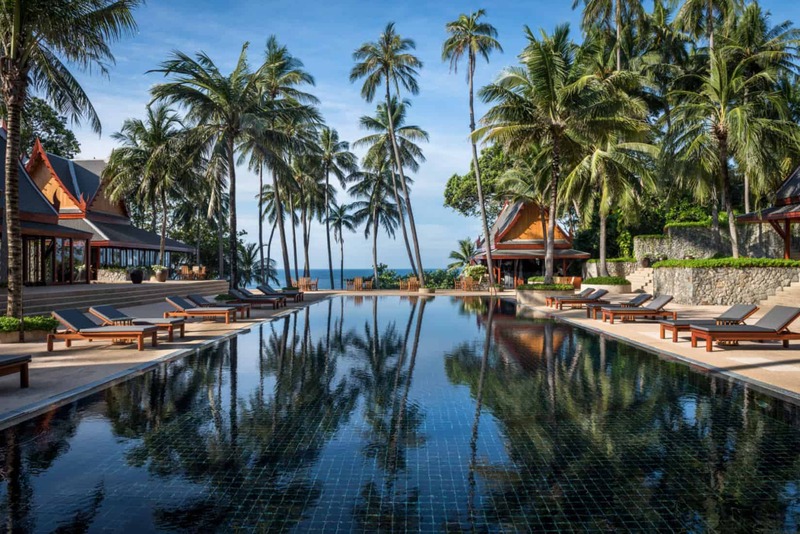 The are three share swimming pools at Amanpuri. One is a 27-metre freshwater main pool, clad in midnight-blue tiles, the second one is a 20-metre lap pool located at the beach club, a third one is a 10-metre pool for children that lies next to Nama. 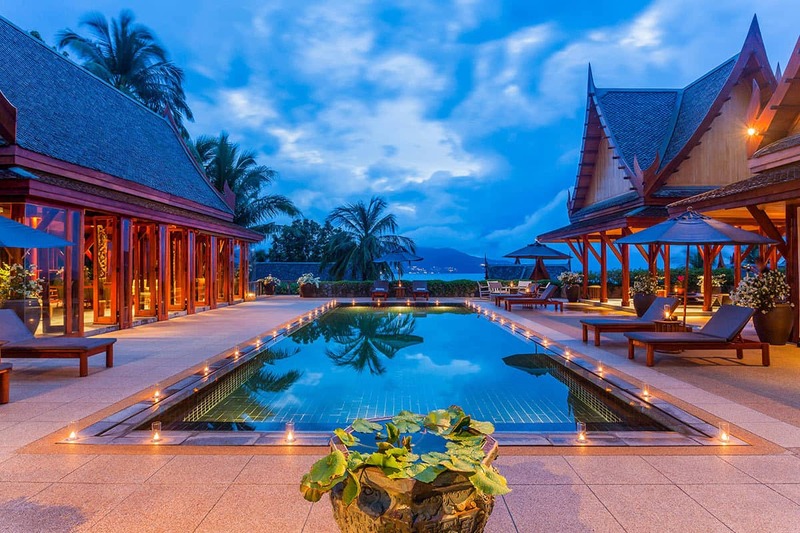 Each day they serve Thai tea by the main pool and most evenings there is a performance of traditional music. Amanpuri boasts a Boardroom, a meeting facility seating 15 with audio equipment and an LCD projector perfect for your next business retreat. 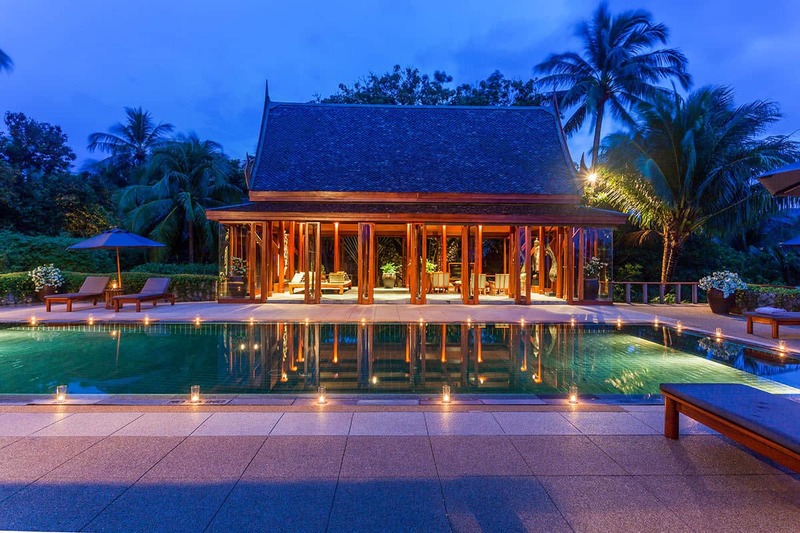 If are into golfing there are five international-standard golf courses located within 40 minutes’drive from Amanpuri, and tee-off times can easily be arranged. The use of the Amanpuri’s golf clubs is complimentary. 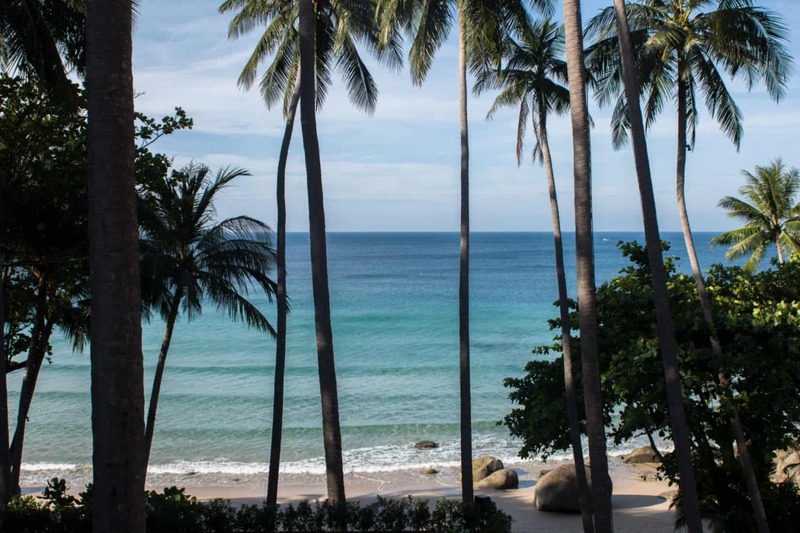 When you stay at Amanpuri an array of vessels is available for the guests. There are available sailing tours, deep-sea fishing tours, and a scuba-diving excursion as well as overnight charters with a full crew for island-hopping in the Andaman Sea. The cruise vessels include Maha Bhetra, a 90ft cruiser sleeping up to six, Aman I and 60 ft Bluewater yacht custom-made for Amanpuri. If you like scuba diving we can arrange a comprehensive PADI- accredited scuba-diving programme, available year-round for guests. 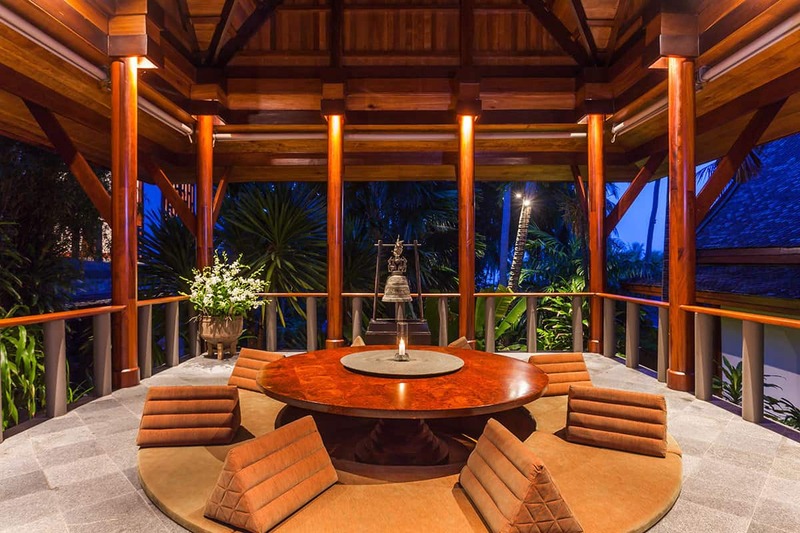 The most popular sites are Racha Island, Koh Kai Nok and the Shark Point. The excursions can be arranged from cruising through Phang Nga Bay and Koh Phing Kan (famous for the scene of James Bond in the Mand with the Golden Gun). Krabi province with its scenic coastal setting. A day trip to the Similan Island. 80 km southeast of Phuket are located the Phi Phi islands great for snorkeling. 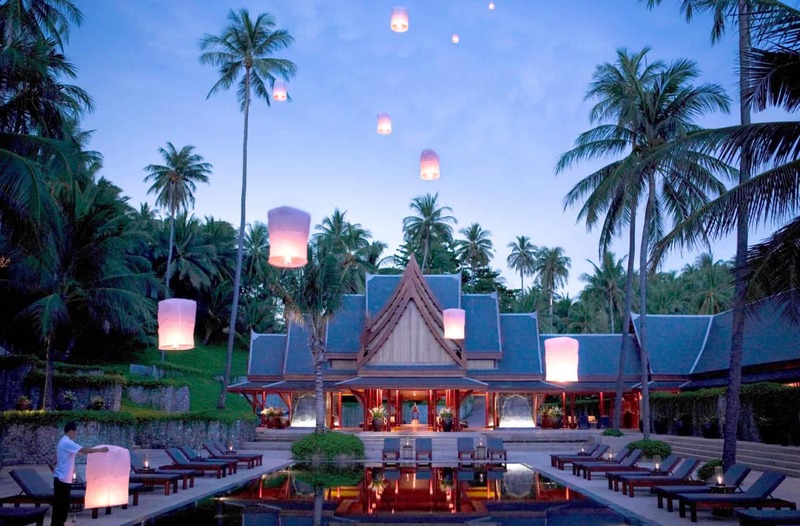 The dining experience at Amanpuri includes eight from restaurants and club experiences. There are a Thai Restaurant, a Italian Restaurant, a poolside Japanese restaurant (open seasonally), a fresh Mediterranean dishes restaurant by the pool (open for lunch), a bar (poolside), a lounge where you can have South American inspired drinks (open in the evening), a beach club where you can order a great pizza and a beach terrace with international cuisine (open seasonally in good weather). 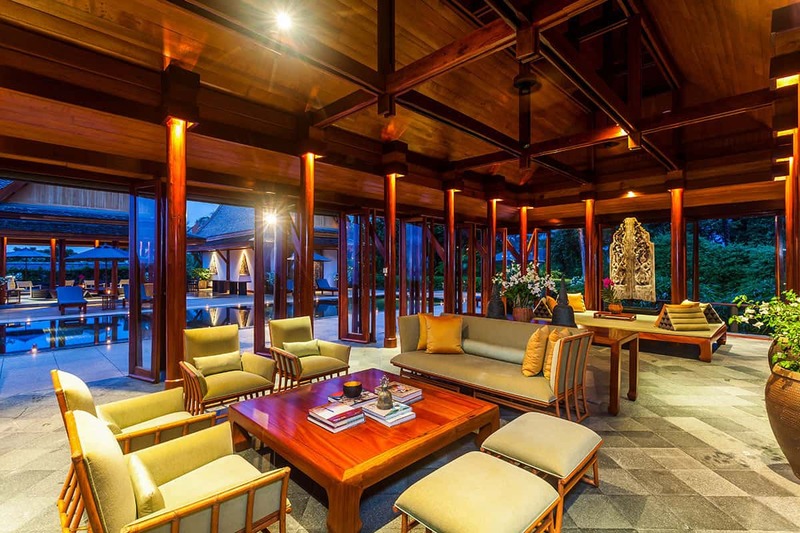 The living areas are comfortable and inviting as well, with ample seating on rattan sofas and daybeds with plump cushions or around the long dining table. 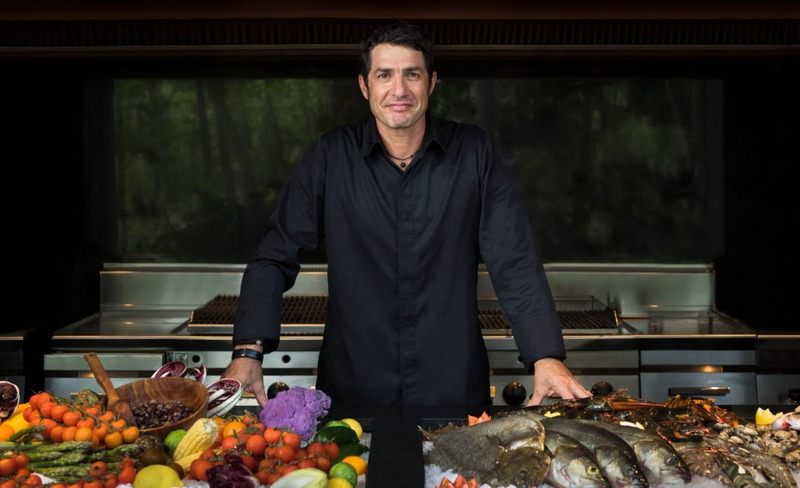 If you’d like to try to re-create the island’s flavors on your own, the villa does have a fully equipped kitchen. 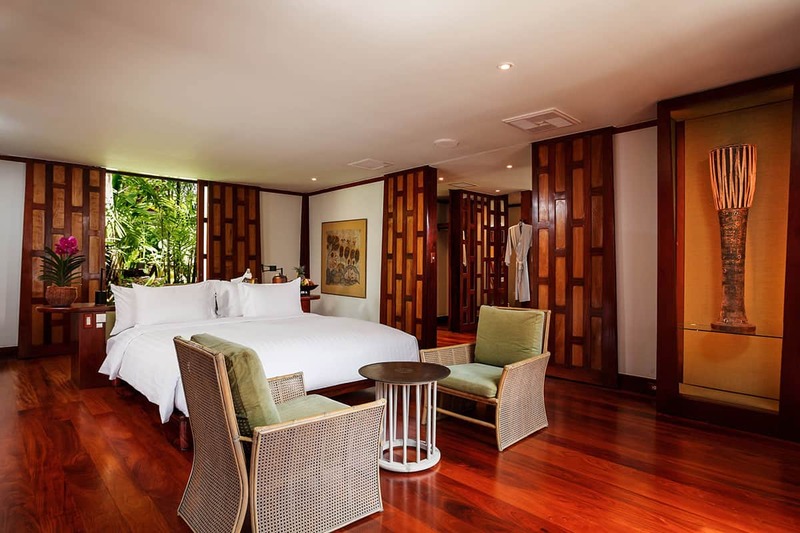 In each 2 Bedroom Garden villa, you’ll find two bedrooms with king beds and en-suite bathrooms. Separate showers and tubs give you the option of a refreshing rinse or indulgent soak, and spacious dressing areas make primping a pleasure. 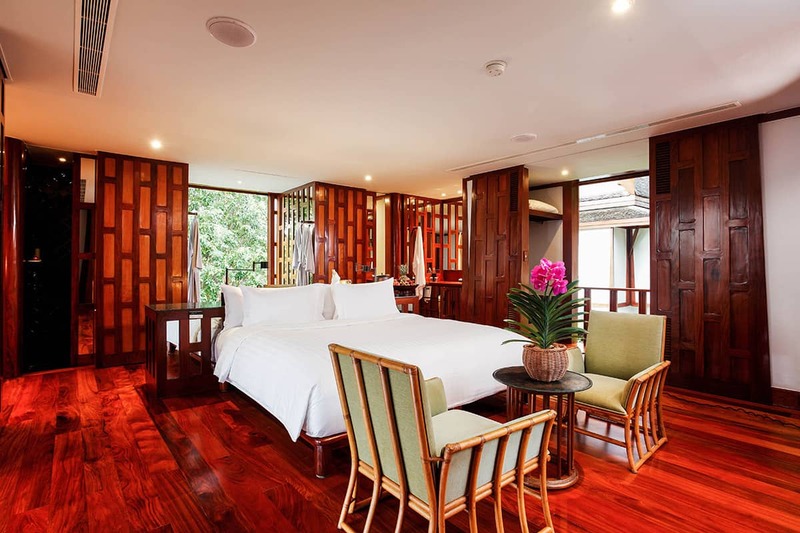 Like the common living areas, the bedrooms are clad in teak, but snowy white bedding provides a crisp contrast.